New equipment and software technology are replacing manual processing for beams and structural components. The structural steel sector is viewed as an industry that processes tons of material using industrial processes with very little automation. The belief seems to be that the tasks themselves do not require automation to correctly produce the parts. Cutting a bevel on a beam at a defined length, drilling holes, adding a notch to support a joint, or preparing the structural component for welding are not always viewed as high precision jobs that would benefit from a specialized NC machine tool or an automated machining process. In fact, in many countries today, it is possible to launch a highly complex structural steel project solely using manual processes and an extensive workforce. In areas where labor is cheap, component features might be handcrafted to meet construction needs without a single problem itself. This manual-processing scenario can work but it has a direct impact on project costs. Executing the structural steel projects of many kinds and sizes consumes a large amount of recourses that need to be financed. These costs add up quickly and have a direct and negative impact on profitability. Lately, however, the requirements of the structural steel segment have changed. Project lead-times are being shortened. Field work is being reduced by preassembling modules fabricated at the factory and transported to the work site. Architectural designs are demanding elegant and exquisite steel components. The need for precision and, even more, for beauty, is growing. Implementation of a project begins once an architectural vision is defined. An effective plan needs to be devised, executed, and managed to efficiently bring the vision to reality, often within a short time frame, while maintaining a profit margin. A move from using spreadsheets and circular saw processes to NC equipment guided by software developed specifically for construction components can allow a spectacular vision to take shape while meeting the time and financial goals. For a reasonable investment, today’s technology can provide advanced software that allows structural steel companies to reduce costs and, consequently, increase profitability. It can allow for the management of more projects using the same financial resources, lower operational costs, automate processes, and optimize each phase of each project. It can help structural steel companies achieve the needed synchronicity in all processes to overcome the challenges faced today. Structural steel software can allow seamless control of a project from quotation, to CAD, to production and staging of the components for assembly with the structure. It should integrate several key functionalities: design, production, and management of the right elements at the right time. It should optimize the production equipment usage, taking into consideration maintenance stops, resource availability, and raw material inflow. The use of steel construction software will provide several advantages that will increase project efficiency. It will identify large parts with the same shape but different drills or notches that can be grouped for cutting. With the number of parts involved in a project’s construction it is close to impossible to make such an identification manually. Effective software will quickly provide the proper information about each part: how it should be produced and when, if and how it should be added to a multi-part assembly and when, and when it should shipped for just-in-time arrival at the erection site. 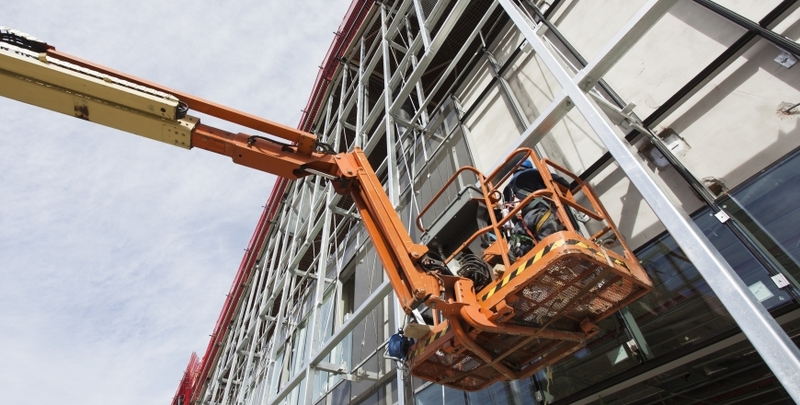 Structural steel software will allow the fabricator to choose the right part to hoist by a crane and assemble in a joint where several parts converge. Selecting the wrong part can be expensive and time-consuming. The incorrect part has to be returned to the staging area while the correct part is identified and crane time is again used to put it in place for assembly. Using the software’s marking capability, each part be marked to identify where it should go and assist with assembly directions, whether by welds, rivets, or fasteners. The most efficient logistics and transportation options can be reviewed and considered within the software to determine if assembly should be done in the factory or at the erection site. The software provides inventory management of completed components indicating when they will be needed, providing the weight of the items so adequate transportation can be planned, and allowing confirmation of installation. Sheet, beam, and consumable specifications and other purchasing requirements can be generated from the structure design by using the software. Traceability and quality control upon receipt of materials can also be managed within the program. The steel construction software integrates with BIM software that is responsible for designing and defining the steel structure to share part and assembly information, simultaneously record changes, and visualize progress. The efficiencies gained by software capabilities can justify the addition of automated equipment to synchronize with supply chain processes. Adding structural steel software for machining and fabricating structural parts to a shop will synchronize design, manufacturing, assembling, and erection, increasing quality and profitability. The structural steel sector has the opportunity and the challenge to go from high tonnage handcrafted projects to agile, automated production by taking advantage of newly available IT tools. Are you ready for synchronicity? 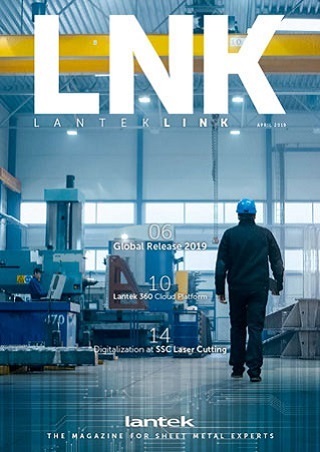 Lantek is the leading global multinational regarding the development and commercialization of software solutions CAD/CAM/MES/ERP for companies fabricating sheet metal, tubes, and beams with any cutting (laser, plasma, oxy-cut, water jet, shear) and punching technology. Lantek integrates the most advanced nesting software in the industry with the highest standards in manufacturing management solutions. Its capacity for innovation and its firm commitment to internationalization and emerging markets have led Lantek, founded in 1986 in the Basque Country and with headquarters in Vitoria-Gasteiz (Spain), to devise a global-local strategy, which has meant it has become a global reference within the industry with its software solutions. Today, the company has over 15,000 customers in over 100 countries and its own offices in 15 countries, in addition to an extensive network of distributors that are present throughout the world. For more information, visit: www.lanteksms.com or request more details at: marketing@lanteksms.com .